Winner winner, chicken dinner! 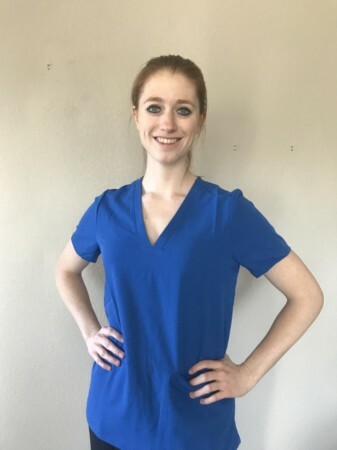 We caught up with RN, HIIT-enthusiast, and winner of our New Year Better You Giveaway, Angelique Flinn, to learn more about how she discovered nursing, her career goals, and what she’ll be doing with all that new Giveaway swag! You can follow her latest adventures at @angelslifediary on Instagram. In middle school, I was diagnosed with Graves Disease. I don’t remember everything about going to doctor’s appointments and things like that, but what I do remember is how the nurses took care of me. From then, I knew I wanted to do something in health care. My family has a lot of nurses in it, so I spent some time shadowing them and figured out that bedside nursing is what I wanted to do. I’d get to spend time with and get to know my patients. I really like engaging with my patients. I don’t want to just pass meds or do an assigned task. For me, it’s important to get to know my patients and make them feel comfortable. They’re in a scary situation, maybe one of the scariest situations of their lives—I want them to feel like they’re cared for and help them get better. Can you think of a time that’s been especially rewarding for you as a nurse? Yes! There have been multiple patients that I took care of who came in very sick. Just seeing them get better over time has been rewarding, even if they were only on our unit for two to three weeks. With bedside nursing, you actually get to see that progress and have those joyful moments with patients who may not have been able to communicate with you when they first arrive at your unit, but by the time they’re ready to leave, you’re having full conversations with them. I feel like you don’t always get that in other healthcare fields. What about life beyond the bedside? Well, I definitely go to the gym a lot. (Although it’s easy to fall off the bandwagon during the holidays!) I really got into fitness when I was in college studying for my first degree—my Bachelor’s in Nursing is actually my third! 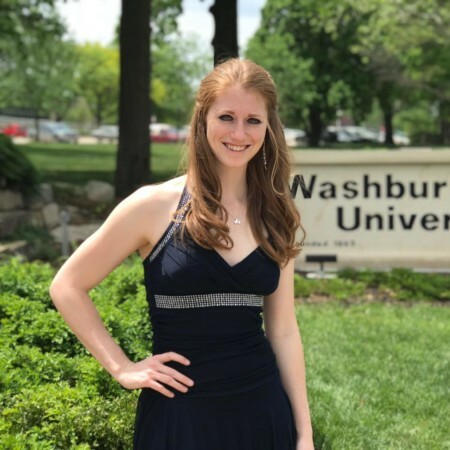 When I graduated and started getting into nursing, I kind of got out of it, but since completing my nursing degree, I’ve been slowly getting back into it. I haven’t gone as routinely as I did years ago, but it’s something I know is important. Also, I try to stay on top of my fitness; I want to stay healthy and active so I don’t end up in the hospital. Beyond that, I spend a lot of time with friends and visit family. None of my family lives close to me, so I spend a lot of time driving to go see them. That’s one of the perks of nursing, being able to have time to drive to my sister in Nebraska and spend a few days there, then come back and work is really great. You mentioned that your BSN was actually your third degree. What were your others? Why the career switch? So I graduated in 2014 with a Bachelor’s in Science and Technology and received another Bachelor’s in Applied Science and Human Services. I’d planned on getting an MPH, but with the debt that would have put me in, I chose not to go that route. A lot of the biology careers that I found involved working in labs. I didn’t want to look through a microscope my whole life. Engaging with people was something that I knew I was really passionate about. I shadowed my sister, a nurse, to see if nursing was the right career for me. (I had two other degrees by then, so I wanted to be sure!) And I really felt a click—that this was the path that I should go down. From there, I pursued by Bachelor’s in Nursing, and I’ve been a nurse ever since! Ah, so nursing runs in the family? Yes! I have several aunts who were nurses. They’re retired now, but they’ve done nursing for a long time. My husband also happens to be a nurse! Any ideas on next steps? I definitely want to do travel nursing for a while. I’ve always had a passion for both traveling and working with people. I knew from a young age that my ideal career would be something that combined these with healthcare. While I have experience with traveling, I want to spend more time really experiencing the cities I go to. It’s great to learn about new cultures and to practice healthcare in different environments. I also love how these nurses can practice anywhere, from working on clinics in Indian reservations to massive hospitals in New York City, so I’d really get an all-around, diverse background. That’s really intriguing to me. Also, getting the chance to work with different medical records systems and equipment means that I could become more knowledgeable and prove my skills. I think I need to get a bit more experience before I jump into that, but I want to do travel nursing for several years. Eventually, I plan to go back to school to be a nurse practitioner. I’d like to work as an NP in a clinic environment where I can meet patients and diagnose illnesses. That’s my long-term goal! What are you most excited about from your Giveaway haul? Oh my goodness! That’s such a hard question. I’m looking forward to using the Aaptiv workout app! I feel like there are a lot of times that I go to the gym and do…whatever, you know? I’ve looked into the app a little bit, and I think it’d be great to have a routine and someone coaching me through my workouts rather than being like, ‘Hmm…pull-ups and bicep curls look good today, let’s do those!’ I also love doing HIIT training, and I know there’s HIIT training on the app, so definitely looking forward to that!